Midcoast Conservancy and Kennebec Estuary Land Trust are partnering together for a summer lecture series. The lecture in June to kickoff the summer explores the how the collaborative projects in the Sheepscot River in Midcoast Maine are critical for restoring endangered Atlantic Salmon locally and globally. 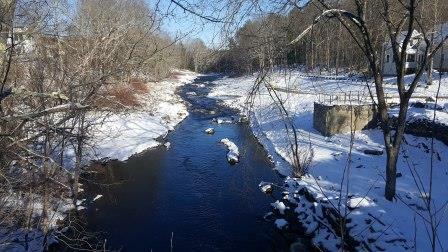 Maranda Nemeth, Watershed Restoration Specialist with Midcoast Conservancy, will present on the Coopers Mills project and other upcoming barrier removal projects in the Sheepscot and Dr. Stephen Sutton, Director of Outreach with Atlantic Salmon Federation, will present on that international status of Atlantic salmon populations and policy.